A Stranger Earth: John Titor: A Visitor From The Future? We've dealt with time travel before, thanks to those two famous French time slips the Moberly-Jourdain incident and the Simpson-Gisby incident. But those two tales were of people who had supposedly accidentally slipped back in time. This tale is of a man who claimed he had travelled through time.... and he had a mission. Part Kyle Reese and part Sarah Connor, John Titor first posted a message online on the 2nd November 2000. At first he posted under the username Timetravel_0 on sites such as Art Bell and the Time Travel Institute. Soon, having had to register a new account somewhere else, he adopted the name John Titor. Among discussion of time travel in general, John Titor claimed to be a time traveller himself. He said he was born in 1998, and that by 2036 was working in a government time travel project. Sent back to 1975, his mission was to retrieve an IBM 5100 portable computer which was needed to translate between some legacy IBM systems and UNIX. He claimed the IBM 5100 was able to do this due to certain in-built functions that were not documented when it was manufactured. The most immediate of Titor's predictions was of an upcoming civil war in the United States having to do with "order and rights". He described it as beginning in 2004, with civil unrest surrounding the United States presidential election, 2004. This civil conflict that he characterizes as "having a Waco type event every month that steadily gets worse" will be "pretty much at everyone's doorstep" and erupts by 2008. "In 2015, Russia launches a nuclear strike against the major cities in the United States (which is the "other side" of the civil war from my perspective), China, and Europe. The United States counter attacks. The US cities are destroyed along with the AFE (American Federal Empire)...thus we (in the country) won. The European Union and China were also destroyed." Titor refers to the exchange as "N Day". Washington, D.C. and Jacksonville, Florida are specifically mentioned as being hit. After the war, Omaha, Nebraska is the nation's new capital city. Titor is vague as to the exact motivations and causes for World War III. At one point he characterized hostilities as being led by "border clashes and overpopulation" but also points to the present conflict between Arabs and Jews as a harbinger of World War III. Now, you may be thinking, this is just a bunch of old tosh (and you wouldn't find me disagreeing there either!). But John explained that his presence here in our "worldline" means that we have already diverged from the timeline and in affect he came from an alternative dimension. Hence the fact things haven't turned out quite the way he says they would is not something that can be used to criticise him. But there is plenty of other criticism out there. 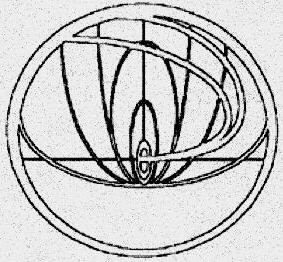 With most people today claiming John Titor is in fact John Rick Haber, brother of the owner of the commercial rights to all things John Titor, Larry Haber. But perhaps, just perhaps, John Titor really was a traveller from the future who came in order to warn us all of the future we faced. Maybe he succeeded in averting disaster.